Hey, nice article, taking the abstraction further I developed an Rx based microservicebus called Obvs, which supports RabbitMQ as a transport. I use it in production on a few systems, would love to know your thoughts. Thanks for your comment. That looks very interesting. I like the functional style! I’ll definitely look into this further, and potentially leverage. Dont Match UML Diagram With your Description. 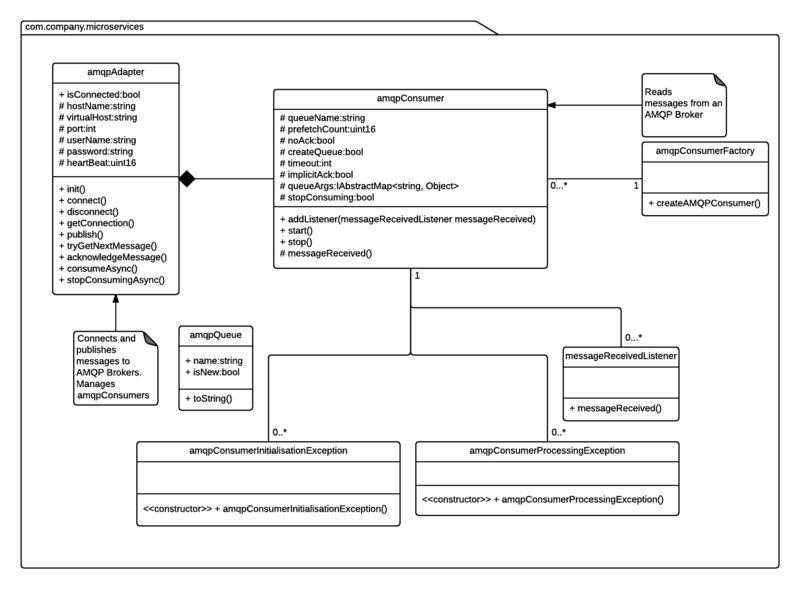 For Example You have Roxelana in your Description But this Class is not in Uml Diagram ? I’m not sure which class you’re referring to. Roxelana may be something that another contributor added to GitHub. What repo/branch are you looking at? Hi Paul is your library available for .NET core? Not just yet, Ravi. Should be relatively easy to port it. Great article! Using Daishi.AMQP how can I have all consumers receive the same message. Everything I have done so far the first consumer to read the message removes it from the queue. I was hoping to use it to notify all my webservers to use signalr to update the connected web pages. I am completely new to microservice, can you please share any documentation is available from scratch with sample project. How would we publish and consume an object? Please refer to the Consuming Messages section in the post.